I suspect at some point most of you will want to begin to shoot at least some RAW images in your camera. The control and quality you gain from shooting in RAW is significantly greater than is possible than shooting and editing a JPEG image. 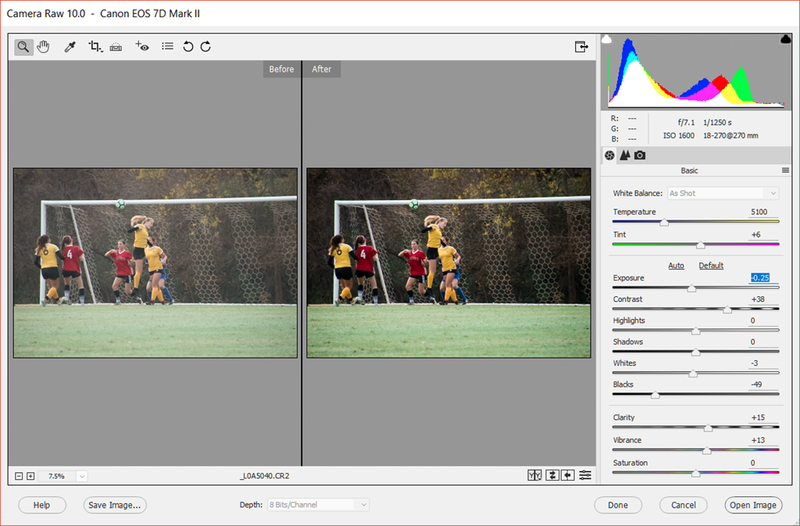 There are a lot more topics that I will cover in the future that deal with the main Photo Editor of PSE 2018, but I want to take time now to cover processing images using the Adobe Camera Raw (ACR) editor that is a part of PSE 2018, as well as earlier versions. This is the same, but less feature-rich version that is in Photoshop CC. In this post, I will overview the steps or process of editing a RAW image. The link below the figure is to a PDF file you can download and print the tutorial. In the next installment, I’ll cover tips on using the Basic Editing screen in the ACR. Stay tuned. If you found this tutorial helpful, and would like to see more, Star- Rate it and/or drop me a brief comment.